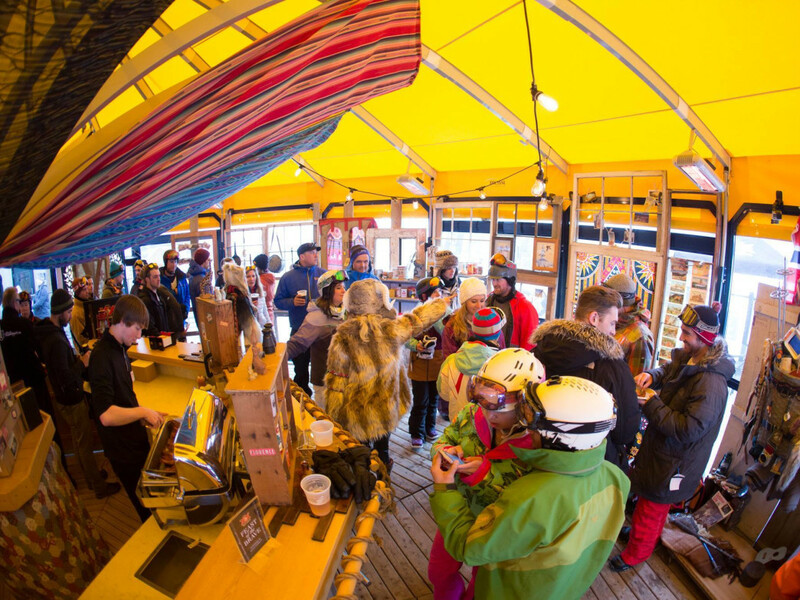 Tucked between the sleepy, rustic towns of Woodstock and Rutland, Vermont, the notoriously lively après-ski scene at Killington Resort is somewhat of a phenomenon. The Killington Access Road, spanning from Route 4 to the base of the K1 Lodge, features five miles of restaurants, shops, and bars, and offers everything from upscale sushi and a quiet cocktail, to a basket of wings and a party that lasts all night. With so many delicious and creative options for breakfast and lunch available on the mountain, there’s no reason to wait till for evening to dig in. The Vermont Fresh Café at the Snowshed Lodge features a hearty New England breakfast made from local, farm-fresh ingredients. Breakfast is served till 11am, so why not grab first chair and get a few runs under your belt before stopping in? High atop Killington's highest summit, lunch at the Peak Lodge should be on the top of your vacation bucket list. The menu features entrees that are a cut above your typical ski-resort fair. Try the Miso Crab cakes with wasabi aioli on a brioche bun, or keep it classic with a Peak Burger, served with cabot sharp cheddar, caramelized onions, and applewood bacon. Surrounded by dazzling views of the Green Mountains, you'd be hard pressed to find a more breathtaking spot to grab a bite. Tucked back in the woods off the Northbrook Trail, the Ledgewood Yurt is another slopeside gem, one of Killington's best-kept secrets. Warm yourself by the wood stove as you tuck into regional cuisine like Cheddar Mac and Cheese, New England Lobster Pie, or a bowl of butternut bisque with crispy fried leeks. Local Vermont brews and a full wine list round out this cozy dining experience, but don’t get too comfortable—there’s still a good deal of shredding left in the day. On Saturday evenings, the Ledgewood Yurt becomes the very embodiment of "Hygge", a Danish term that, loosely translated, means the act of cozy togetherness during cold weather. The yurt plays host to a reservation-only five-course dinner, with an exquisite menu prepared by Killington’s executive chef. The specialty cocktail menu includes a New England take on the White Russian—Vermont Sapling Maple Liquor shaken with fresh local milk with a smoked sugar rim. The yurt is not the only place on the mountain where you can take part in a decadent dining adventure. On the summit of Bear Mountain, an old fashioned structure with a glassed in cab may have piqued your curiosity. 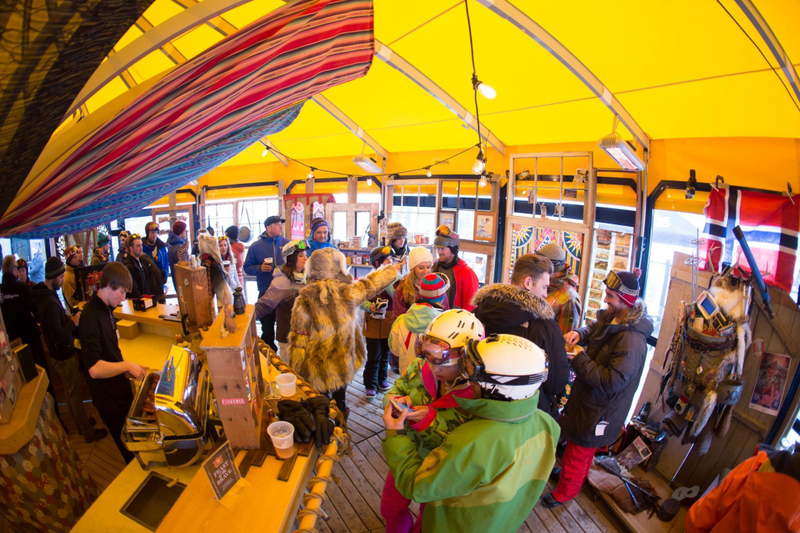 This is the Motor Room Bar, located in the original drive terminal of Killington’s first four-passenger lift. The space is cozy and clean with light flooding in from floor to ceiling windows. To access the bar, visitors must climb two flights of outside stairs. This Saturday evening adventure begins with a Snowcat ride up and across the main mountain to the summit of Bear. No more than ten guests will drink cocktails and enjoy gourmet appetizers, artisanal Vermont cheese, and duck charcuterie. This one-of-a-kind cocktail event is guaranteed to be intimate and memorable, the perfect kick-off to a night of festive après indulgence. Perhaps you’re more interested in discos and dancing than quiet mountain dining. 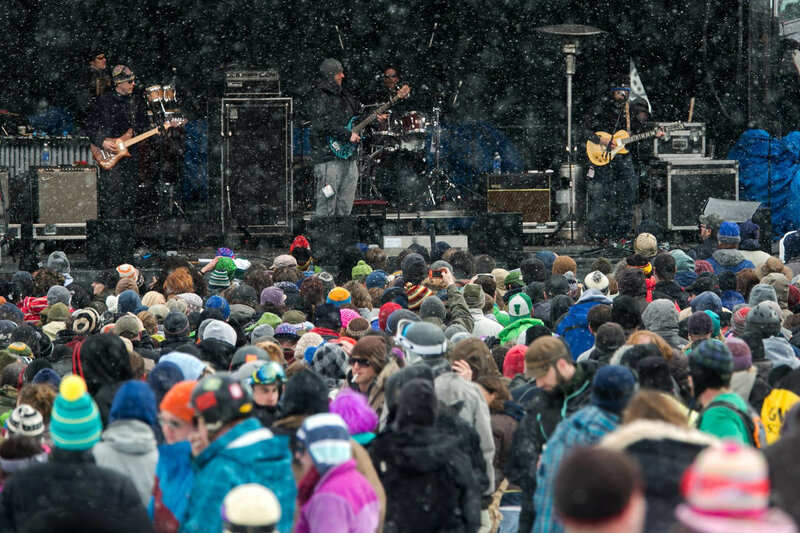 Killington, or K-Town as the locals call it, is considered to have the best après-ski scene on the East Coast, with dance parties, big name music shows, and plenty of debaucherous fun. Moguls Sports Pub is a popular haunt where locals enjoy affordable pub staples like loaded nachos and New England Clam 'Chowda.' The atmosphere is friendly, laid back, and spirited, especially on Friday nights when the DJ is spinning. For a rousing good time, check out the parties at the Wobbly Barn and the Pickle Barrel Nightclub, two venues that have solidly earned their reputation of being a rambunctious good time. Further away from the resort, The Long Trail Brewing Company is a celebrated Vermont establishment located in the nearby hamlet of Bridgewater Corners. 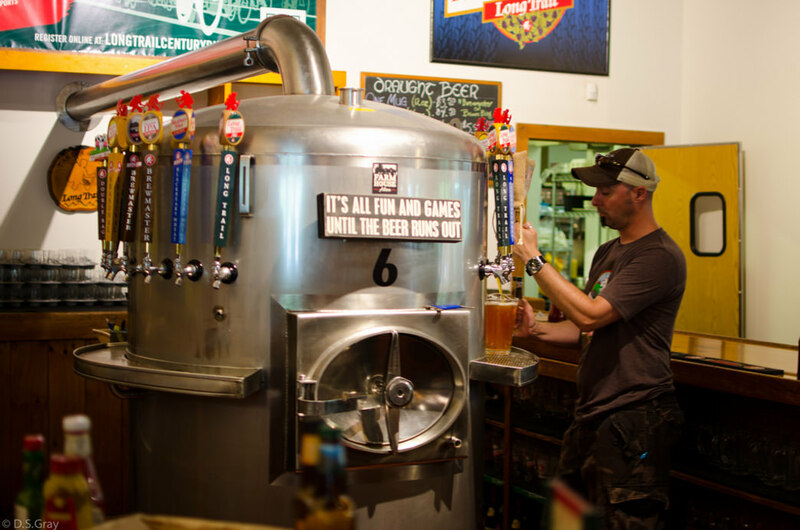 The brewpub is always bustling and warm, with over a dozen taps pouring seasonal selections and limited releases. The menu features hearty New England fare like sharp cheddar ale soup, local cheese boards, and the best burger around. Settle in by the cast-iron fireplace with a pint of Blackberry Wheat or a warming winter sampler. There’s no better place to bask in that post-powder glow. Speaking of Glow, why not treat yourself to a spa treatment at the Killington Grand Spa? Nothing could feel better to tired legs than a soothing body scrub or a Swedish massage. The Grand Spa’s signature body treatment is a mouth-watering Warm Maple Sugar Scrub. This sweet, exfoliating scrub is followed by a rich, moisturizing body cream to leave you with hydrated, silky smooth skin. The Vermont Wildflower Body Wrap brings a burst of sweet summertime to the frigid mountains. This organic sugar scrub, infused with floral essential oils and made fresh to order, is followed by a honey body masque and a relaxing scalp or foot massage. If you’re in the mood for something a bit more invigorating, the Rosemary and Mint salt glow will leave you tingly-cool and refreshed. The Grand Spa offers a full selection of massage, including Swedish, Hot Stone, Deep Tissue, and special options for couples and mothers-to-be. The Black Diamond sports massage is perfect for anyone who is sore from crushing powder all day. Targeted stretching and deep tissue techniques combined with a cryoderm gel to reduce inflammation will leave you fully restored, relaxed, and ready to take on the next day's steep and deep.